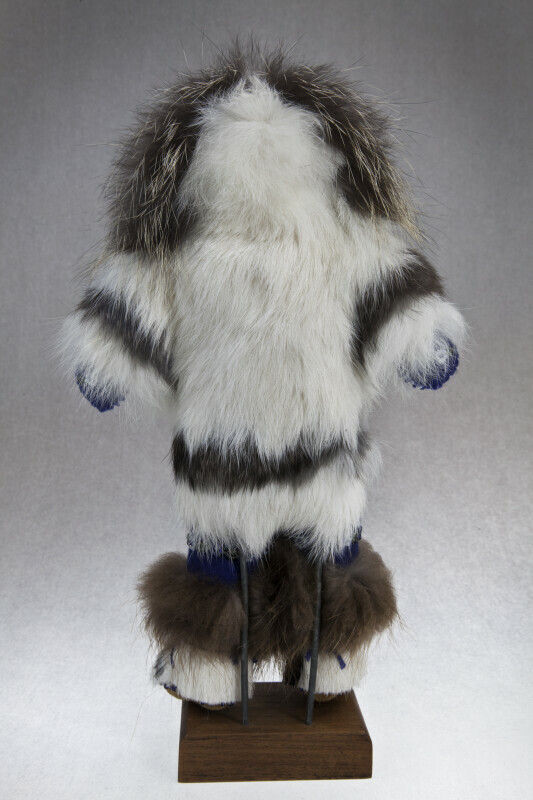 The back view of the handmade Alaskan Eskimo shows his fur parka, consisting of fox, rabbit, moose, calf, and beaver. His body is made by stuffed material. His face is hand painted on leather. This figure stands 10 inches (25 cm) tall.